I was browsing blogs a few weeks ago and I don't even know how I came across Kaitlyn's blog, Wifessionals, but I love it. I ended up doing some clicking and found this neat project she has started called Cara Box Exchange. It is a monthly present exchange between people that you are randomly paired with by Kaitlyn. You get two partners each month and Partner A. sends you a package and you send Partner B. a package so you are sending and receiving from two different people. It is so neat and I highly encourage you to participate if you like getting gifts and meeting new people. There is a different box theme every month and this month was Initials of your name. So my partner had to put things in my box that either started with an L or R.
This experience was great I just loved getting to know the girls I was paired with - Modern Day Pen Pals!! I made a box for Laura @ My Life South Of The Mason-Dixon. Laura is originally from Minnesota so she knew all about the wonderful weather here, she now lives in Oklahoma though - Lucky because she actually has Spring right now!! Laura has a passion for the outdoors and I'm very jealous of her backpacking travels. 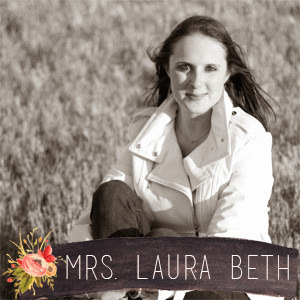 See what Laura is all about and what was in her box >> Here. Lauren @ SLP Sooner or Later sent me my Cara Box filled with L and R items and she did an AMAZING job with my box, everything in it was perfect. Lauren (a Texas native) and I get along so great, and it is crazy how much we have in common hopefully someday we can meet but for now we are becoming great Modern Day Pen Pal friends!! 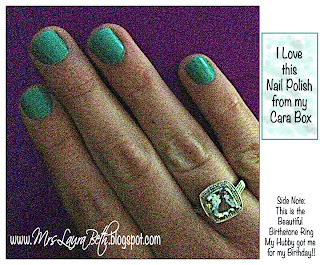 I can't wait to see what the April Cara Box theme is and I hope you join in the fun next month! Oh that's such a cute package! 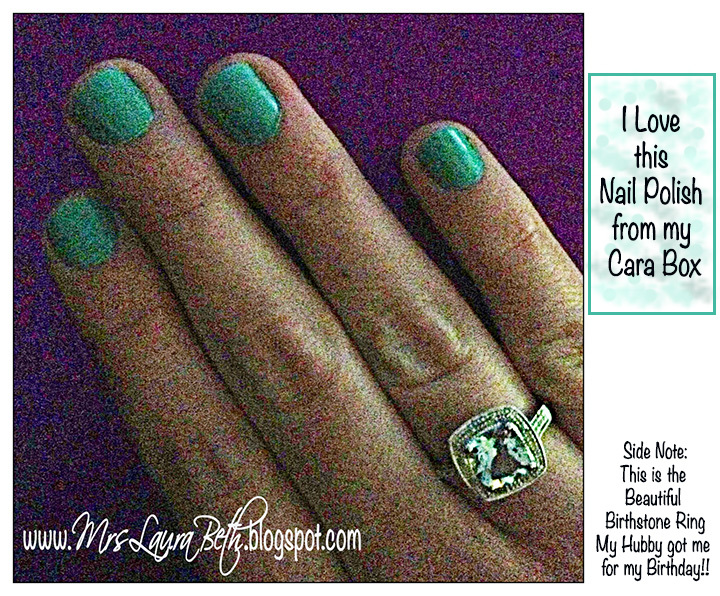 Love those teal nails!